Marriages and Families in the 21st Century provides an in-depth exploration of a traditional field of study using a new and engaging approach. The text covers all the important issues—including parenting, divorce, aging families, balancing work and family, family violence, and gender issues—using a bioecological framework that takes into account our status as both biological and social beings. 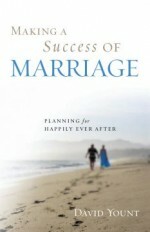 Using this lens, which emphasizes the individual's interactions with a series of larger systemic influences—from family, peers, neighbors and teachers, to schools, media, institutions and culture—the book creates a cohesive overview of modern family life and helps students visualize the complex influences affecting all people in families. 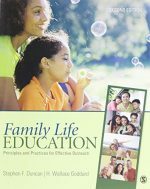 It also examines the state of modern families using a strengths-based approach, which allows students to evaluate the health and functioning of a family considering the biological and cultural milieu in which it exists, rather than on its observable structure or appearance alone. Individual chapters cover historical and cultural trends and also explore the biological, personal, and social forces that shape individuals and families. Each chapter investigates the wide diversity of human relationships and integrates discussions of ethnicity, culture, sexual orientation, and gender seamlessly into the main narrative. 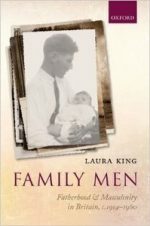 In addition, the book explores recent research in neuroscience, medicine, and biopsychology to examine how family relationships are shaped by and also influence individuals' biological functioning. An accessible writing style coupled with numerous student-friendly pedagogical features help readers come to a multi-layered understanding of "what makes families tick," while also challenging them to reevaluate their own assumptions and experiences.